Whether you're a beginner, novice, or advanced artist, our wide ranging and ever changing selection of classes means you'll always be able to find options that are just right for you. 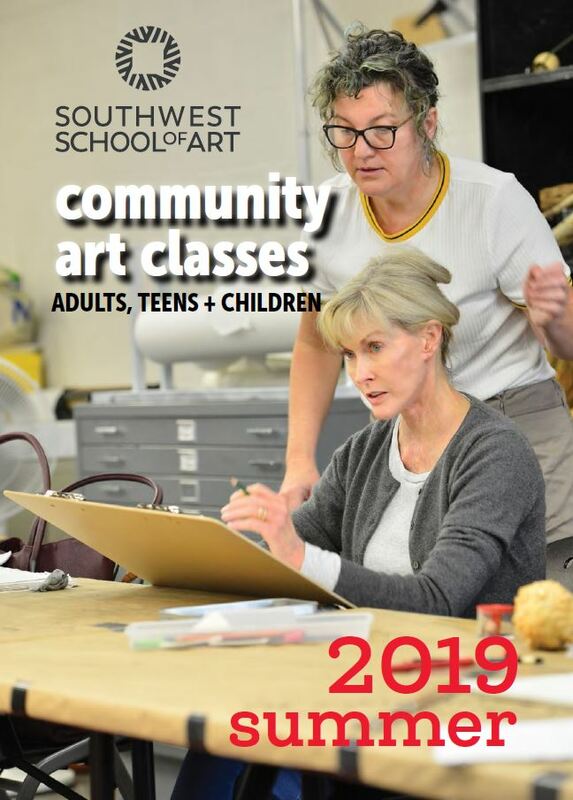 Fall, Spring and Summer classes are offered for adults ages 18 and older (adult classes are also open to high school students, with written permission of the Department Chair). At Southwest School of Art, we are known as a place where artists are shaped one by one. That's because our classes are taught by experienced, full-time and adjunct faculty members who strive to provide personal attention for each student. Register today for a community art class and see what we mean! To navigate to Summer 2019 classes use the Department menu on the right-side of the screen. To view the catalog, please click the image above.